At American Majority, we talk a lot about "The Ruling Class". And there's a reason why we use this pejorative term for the bipartisan establishment that waltzes right back into office every two years without so much as a sweat. Our president, Ned Ryun, wrote an entire column in The American Spectator magazine on this trend. These people aren't public servants. They don't face any real scrutiny, resistance or competition from the folks they're supposed to work for. Each election cycle, these people--from both parties--simply show up and get sworn in. They then resume the tedious task of governing us, of regulating us, of taxing us--and just generally telling us what's good for us. About 99% of all U.S. Congressmen are re-elected biennially. Even in 2010, an unprecedented conservative wave election barely lowered that percentage to 80. And let's not even get started on the numbers for down-ballot races, which almost no American voters pay attention to. In 2012, there are 7,384 state legislative seats across America. Out of these, 5,979 of them (or 81%) are up for re-election right now. That means four out of five office-holders at the state legislative level could be challenged and fought, most effectively in an earlier primary election. This doesn't include the number of term-limited, retiring or even deceased officials. Or special elections. Yet the window of opportunity for changing this more localized ruling class is closing rapidly. Eighty-six (86!) of the nation's 99 state legislative chambers will hold state legislative elections on November 6. Just two years ago, in that wave election of 2010, only 1,133 state legislative incumbents even faced a primary challenger. That was only 22% of those who could have drawn a fight. Of the 6,125 state legislative districts in 2010 with elections, 4,125 (or 67.3%) of those districts only had one major party candidate on the November ballot. P.S. : Based on previous elections, we expect that less than two-thirds of state legislative elections will have more than one candidate on the ballot this year. To bring real change to our communities and our country, we must challenge the Ruling Class, and we must do it now. 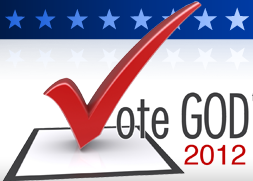 Will you commit to run for a seat in your state legislature, or help a conservative who will? P.P.S. : I understand that not everyone is cut out to run for office. If you would like to support the training of conservative candidates for state legislatures nationwide, please click here to give $20, $50, $100, or more to fund American Majority's candidate training.